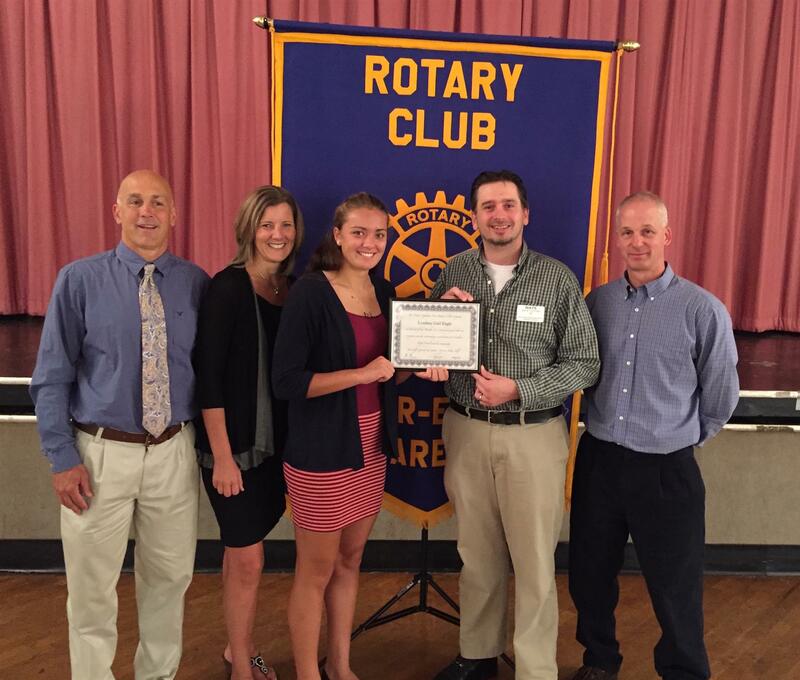 At the October 6th meeting of the Denver-Ephrata Area Rotary, Lyndsay Engle was recognized as the October Cocalico Student of the Month. Lyndsay participates in soccer, basketball, and lacrosse. She is a member of the National Honor Society, Leo Club and President of the Class of 2017. She has garnered many student of the month awards in addition to athletic honors. Lyndsay is a member of Our Mother of Perpetual Help. She has volunteered at the Colonial Lodge and Denver Nursing Homes and helped to organize the food drive of OMPH. Her plans are to continue her education at college majoring in engineering. Lyndsay lives in Denver with her parents and has one brother, Daniel.